How To Ordershare of on-line order forms and I know the pain too well. Here's a way to avoid most of it. Just order everything at once. One order, one download…you're done! And save a bundle! Not only is ordering easier, but downloading is easier too. Each ebook or tips book is a PDF file, and they're all zipped together into a single ZIP archive. You download the archive, unZIP it like you would any ZIPped file, and there you are. You're stuff is brilliant! And -- Thank you for sharing these ideas. The articles are great, I enjoy getting them, and you always have something very interesting to say, or good points to raise. I really enjoy my weekly newsletters. I appreciate that the newsletter is a quick read and is much more intellectually stimulating than, say, reading a Dilbert cartoon. You fill a need that went unmet -- a sort of Dr. Phil for Management! I have found your articles extremely accurate, inspiring and applicable to day-to-day. You have a great writing style and the lessons that you have shared with us are invaluable. Most of us have way too much to do to find much time to read. And the time we do have is broken up into small chunks. We need the knowledge, but too often, we don't have time to get it, and we can't wade through 15-page chapters that lay out lengthy discussions. Knowledge products from Chaco Canyon Consulting are designed with busy people in mind. Here are some features that make reading our e-books fast and convenient. It's fun to go to a bookstore, but you have to find the time to go to the store, find what you want, wait in line to pay for it, and get back from the store. For some of us, all that time is a challenge. With our knowledge products, you browse for your selection on line, and pay for it quickly and easily through ClickBank. You can do it anywhere that has an Internet connection. With some on-line stores, you have to wait for an email message with download instructions. The wait can be brief, but sometimes it's a day or so. With our knowledge products, receive download instructions instantly. After you select an item, you can have it in your possession in minutes. To use some on-line knowledge products, even those you download, you need a computer or mobile device, or worse—a computer with a specific operating system. Our knowledge products are available in near-universal formats—either hypertext (like this document you're reading right now), or Acrobat (PDF), or MP3. You can use them with any computer or device that supports the format of that product (either hypertext, PDF or MP3). Most business books are about 200-250 pages, with about 10 chapters. I don't know about you, but I don't have time to read a 225-page book cover-to-cover. There are lots of folks like us—that's why there's such a booming market in book condensations. Our ebooks cut out that middle step. They're designed to be read by people who don't have time for the typical business book. 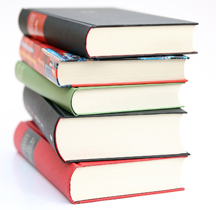 Our tip books consist of short paragraphs, two- to four sentences per tip. Each tip has a headline in bold. You can easily scan the book for tips that seem relevant to you and read only those. Read in any order, and read them in short sittings. Most books, even e-books, are meant to be read off-line. Because they stand alone, they contain material that you might not want to see. Our ebooks assume that you have the Internet nearby. If you want background material on a point we've made, just click. And some of our hyperlinks link to other places in the e-book itself, to help you tie things together is you read. After your purchase is approved, ClickBank presents a page that contains a link to a page where you can download your item immediately. You can load it onto your computer or mobile device, or print it. Your satisfaction is guaranteed by ClickBank's return policy. Price: USD 161.95 per copy. Call for volume or site license pricing at the phone number below. Order Comprehensive Package of All Ebooks and Tips Books by credit card, for USD 161.95 each, using ClickBank.com.